The day he first saw her, he knew she was a deeply happy person. The kind who dressed in bright colours with a constant smile. The kind whose eyes easily let out her emotions. The kind who carried herself confidently. The kind who never feared to make eye contact with strangers. The kind who knew how to fly and make others fly with her. He knew she was going to create a thunderstorm in his life. The day they met, they talked to each other and became friends. Soon enough he understood that she was committed. Usually, if you know this tiny detail at the beginning, it is easier to detach or refrain from having any feelings for the other person. But, in his case, those feelings just grew. He was sad for himself but he was happy for her. Because her love story was so amazing and pure that it made him realize what love looked like in real life. Every day he spent with her, he was more himself. He loved that she understood him like no one else did. He loved that she argued with him on many inconsequential things. He loved how sorted her life was and how clear her goals were. He loved everything about her. He was in love with her. Beyond all reason and logic, he fell in love with her. She indeed created a thunderstorm in his life. For an intelligent man like him, it was unusual for something like this to happen to him. 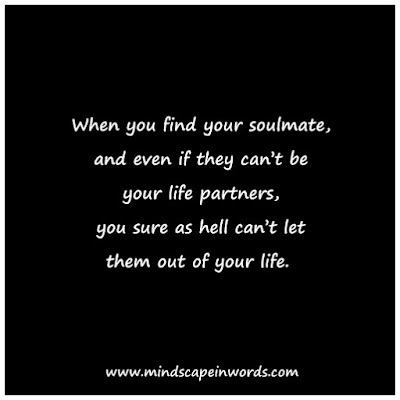 But, we can't help who we fall in love with. And so, he had decided. It was okay to love her. It was okay to love her even though she would eventually marry someone else. It was okay to love her even though she would never feel the same way for him. It was okay because his unrequited love had given him everything he didn't have before. Because of this unrequited love, he could feel happiness, he could understand himself on a different level and somehow it made him value himself more. He knew that theirs wasn't a love story or something of a love triangle and he was okay with that. 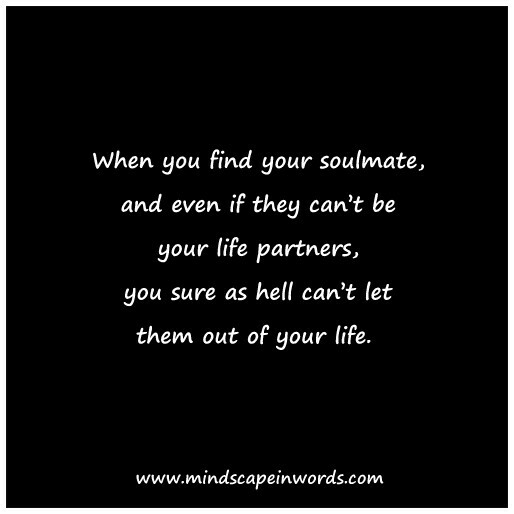 Because, just sometimes, when you find your soulmate, even if they can’t be your life partners, you sure as hell can’t let them out of your life. 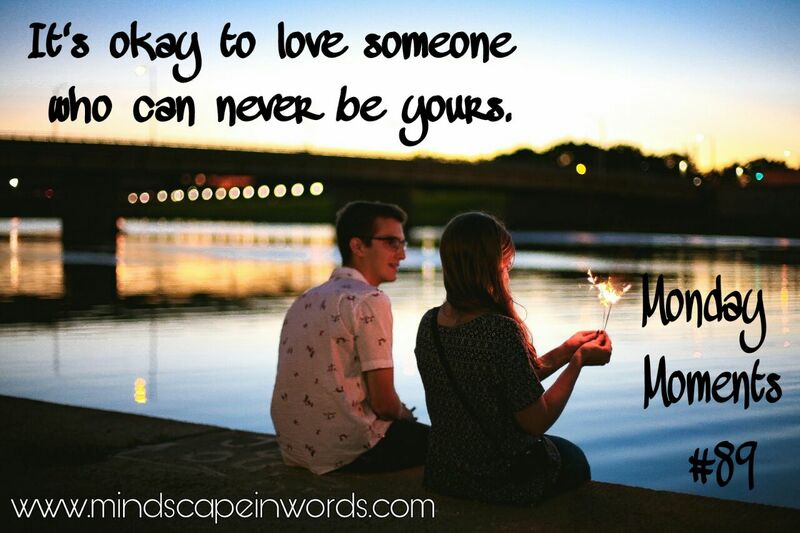 So, yes, it's okay if you love that person that can never be yours. You write beautifully! This definitely resonated with a situation I had recently. This is beautiful and really hit a spot in me because I've been through this. Thank you for sharing. "He knew she was going to create a thunderstorm in his life." I love this line! I actually really love this. I agree with the conclusion. I don't think love, real love, is ever bad. If it's genuine and not just lust or longing then love makes you a better person no matter the outcome. This is a beautiful story and so well written. This is a beautiful story and you are a fantastic writer!! This is so genuine.